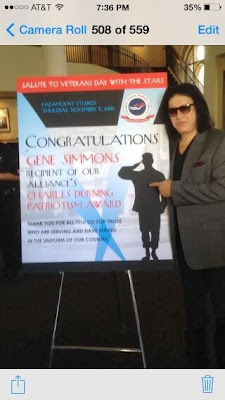 Gene Simmons was honored with a Durning Patriotism Award by Charles Denning for his unwavering support to American troops. 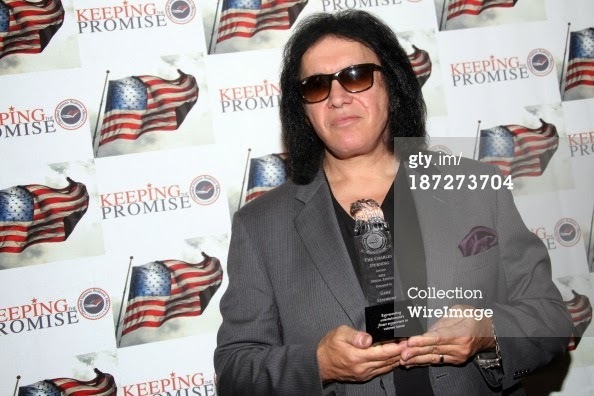 The award was handed out at Paramount Studios on Thursday, November 7, 2013 in Hollywood, California. "Today was a day I will long remember. 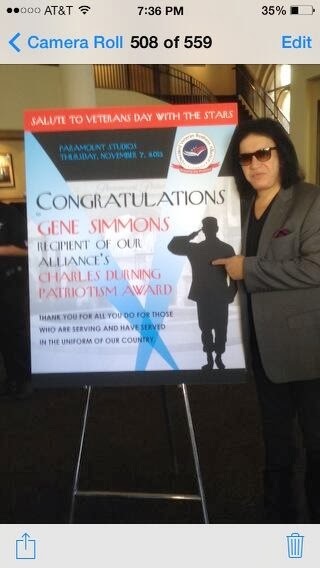 The Disabled Veterans Alliance held an event, I was proud to attend."